Website Design Development Newport News VA | This gastroenterology, medical services website attracts patient inquiries and supports existing patients. The website was developed in open source Classic ASP for Windows II S hosting server. 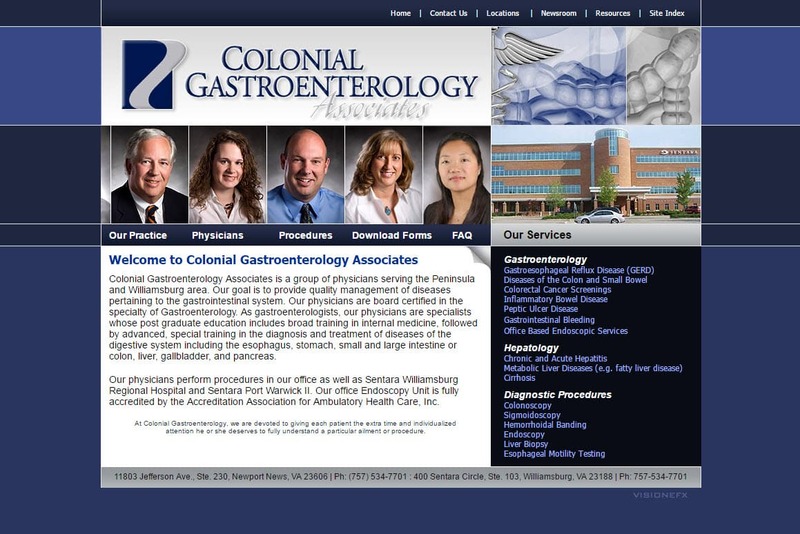 Colonial Gastroenterology Associates has offices based in Newport News, VA. VISIONEFX provides the finest in website design for medical businesses, website design for doctor offices, and website design for healthcare providers. When searching Website Design Newport News VA look no further than the medical web design experts at VISIIONEFX.